We were unable to locate a California Bear Flag marker for Whiskeytown. The California Office of Preservation offers the following citation at ohp.parks.ca.gov. 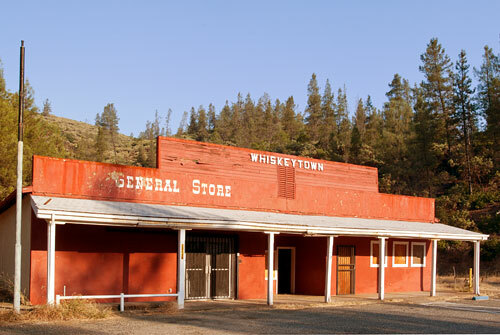 Settled by gold miners in 1849, the town was first called Whiskey Creek for the stream on which it was located, but later the name was changed to Whiskeytown. A barrel of whiskey lost off a pack mule christened the stream with the popular drink of that day. The town is inundated by Whiskeytown Reservoir.